Homemade custard with anything is a treat. A stick of shortbread or homemade apple tart. It’s the custard that gets the crowning glory. In a heavy bottomed pan very slowly heat the milk, cream and vanilla. 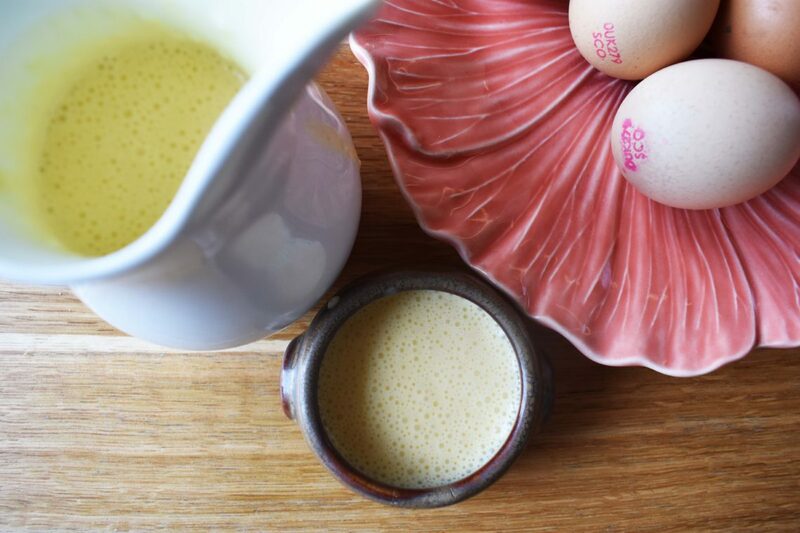 Separately lightly beat the eggs and the sugar until thickened and then beat in the warm milk. Remove the vanilla and pour back into a clean heavy bottomed saucepan. Over a very low heat beat the mixture until it starts to thicken. When it coats the back of a wooden spoon it’s ready.